Attention all country and non-country music lovers: Sam Hunt has created a new event--- The Nashional Music Festival, featuring many diverse artists! Country music star Sam Hunt is back and better than ever! Hunt took a break in 2017 to put his affairs in order, however, his time off has proven quite beneficial — the Georgia native has revealed his latest venture, his very own Nashional Music Festival. 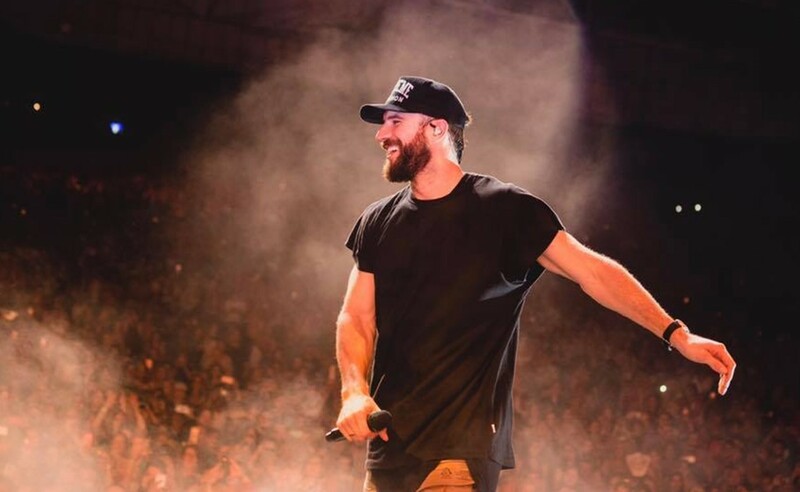 Although Sam Hunt is known as a country act, he’s known for blurring the lines between musical categories. He exemplifies his music taste throughout the music festival where the set will be hosting a mix of artists ranging from country, folk, R&B, as well as many other genres. Hunt hopes to emphasize the diversity of good music, despite the constant definition of genres by social standards and the media– Hunt is planning to form weekend shows that exemplify such diversity and show the influence that music can have on individuals in their own respect. The Festival is debuting a lineup that will be featuring an array of genres and including famous artists such Fetty Wap, Brothers Osborne, Judah & the Lion, LANCO, and Kyle. Local artists like Muscadine Bloodline and Ernest K will also be featured in the festival. Hunt will be headlining sets nightly, rocking the stage with his unique spin on the entirety of the country genre. “I wanted to create an experience at the Nashional that celebrates music, community, and everything they mean to each other and this city…” Hunt tells Rolling Stone. The festival is a two-day event happening April 20th and 21st. It will be held at Nashville’s Bicentennial Capitol Mall State Park. Hunt believes that this event will show that Nashville and its people proudly celebrate all art and sounds, not just the country music label that has defined it for so many years. Don’t miss out on a music lover’s dream summer– The Nashional Music Festival tickets are now up for sale! Sam Hunt, however, does not stop performing here. He has been added to Luke Bryan‘s What Makes You Country XL Tour, which will hit up stadiums across the nation with fellow artists Jon Pardi, Morgan Wallen, and Carly Pearce along for the ride. Sam is giving full credit to his name and is officially on the Hunt– he’s back and he’s ready. This summer is sure to be filled with warm country tunes and an array of diverse sounds that you won’t want to miss! Make sure to share this with other fans of Sam Hunt!